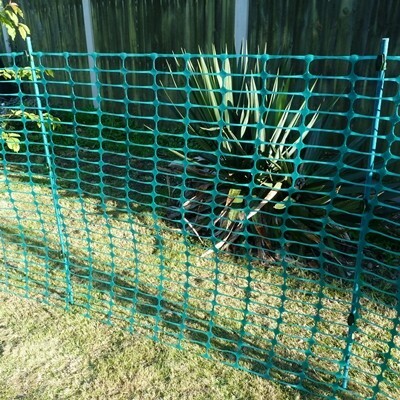 As an alternative to traditional fencing pins simply clip to the top of a True Plant Stake or anywhere to hold barrier mesh, barrier tape, rope, etc. Max rope diameter 6mm. Just weave the stake through a few holes and attach to the clip at the top to hold the net or mesh in place. 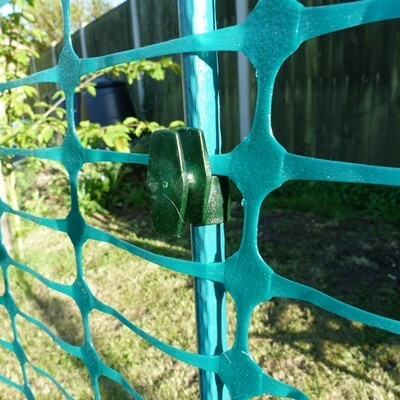 Use multiple clips for a better assembly or for a rope or tape fence. 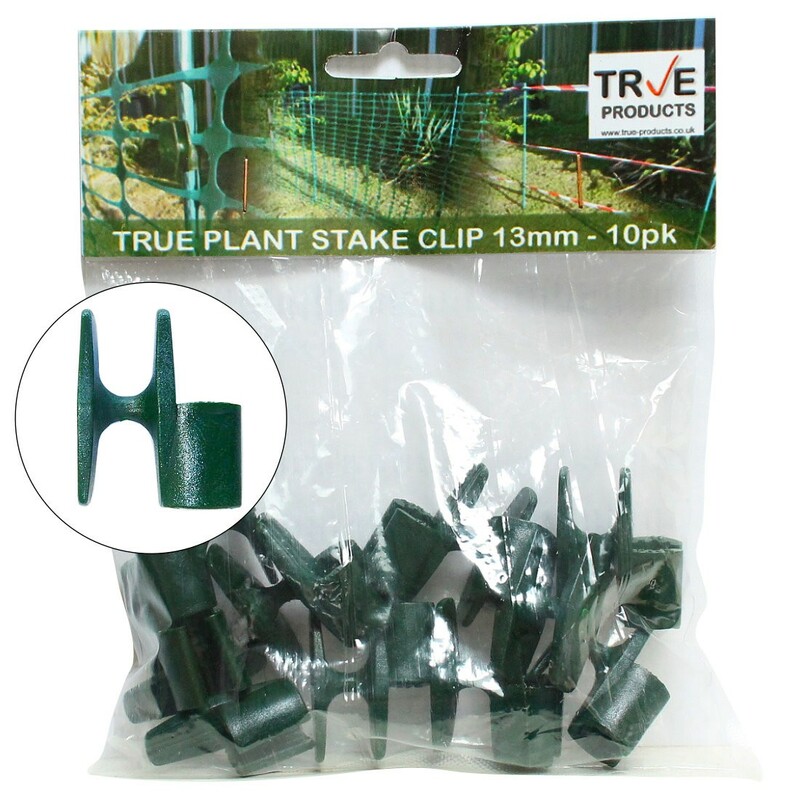 As a support for plants place clips on a True Plant Stake and use with line wire, string or rope to support plants. Very versitile little product, only available from True Traders. 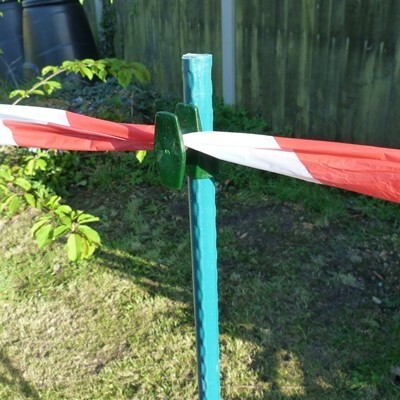 When your project is finished use your Plant Support Stakes in your Garden!